This user does not wish to be contacted by the media at this time. I am a Sociologist and I have a postgraduate course in Evaluation of Public Policies and Programmes and a PhD in Political Science (Complutense University, UCM – Spain). Since 2003 I have worked as a researcher, evaluator and an expert on public policies in Europe and Latin America for international organizations, public institutions, NGOs and research centres. In addition, I have been teaching Public Policies, Planning and Evaluation as well as Gender Equality at a postgraduate level in different Universities (Universidad Complutense de Madrid, Universidad de Granada, Universidad Autónoma de Madrid, FLACSO-Argentina, Universidad Internacional de Andalucía, Universitat Oberta de Catalunya, etc.). 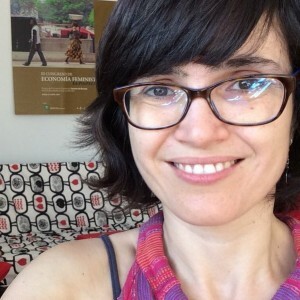 Currently, I work as an evaluator and researcher in Means (http://meansevaluacion.com/) and I am a member of the 'Gender and Politics' research group (UCM) as well as the Gender, Economy, Politics and Development Observatory (UPO). I am also a member of EvalGender+, the ‘Gender and Evaluation’ Thematic Working Group of the European Evaluation Society and the RELAC (Network for Monitoring, Evaluation and Systematization in Latin America and the Caribbean).